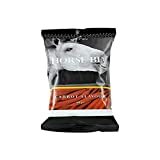 Horse treats are a regular purchase for loving horse owners. They provide an inexpensive way of treating your horse or pony to something that they'll love, while also being hugely beneficial for their health and wellbeing. Salt licks and herbal treats are a big hit with all horses, and they'll love you forever if you keep them in regular supply! Horse treats are the perfect way to spoil your horse, while looking after their health at the same time. The wealth of salt licks, herbal licks and other treats available means you can alternate treats so that your equine friend always sees them as a novelty. They will gratefully work away at salt licks (which can be easily mounted on a stable wall or a fence) while taking in some much-needed vitamins and minerals. 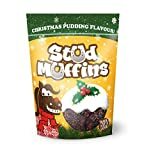 These treats also really help to keep your horse entertained - it's the perfect way to relieve boredom (so it may even stop them from nibbling the stable door or causing other damage!). Rewarding your horse with delicious treats can only help to cement your existing bond further. Your horse associates you with care, attention and love and you'll really enjoy spoiling him (or her!) with something special every now and again. 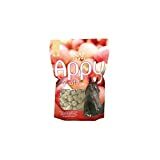 Horse treats and licks are available in a wide range of types and flavours. 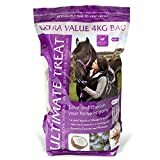 If you want to take a reward with you on a long hack, a bag of minty or apple-flavoured treats will be very welcome indeed, and you can administer them as and when you feel your horse needs a boost. 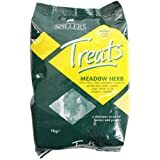 Some people use a bag of treats in order to tempt their horse in from the field. Often just the rustle of the bag in your pocket will make your horse come running, saving you time and hassle in the process! Salt licks can be mounted on the wall of your stable providing a mineral-rich treat for your horse as and when he fancies it. Alternatively you could leave a salt lick ball on the floor of his stable - he'll love to chase it around and play with it like a toy. This also helps to encourage their natural foraging instincts and has the added benefit of making overweight horses get moving! Companies such as Likit have spent years researching and developing the perfect treats and licks for horses because they understand the importance that they have on a horse's physical and mental wellbeing. Treats have come a long way in the last few years, so if your horse turns his nose up at a particular flavour or type (unlikely!) then there are a multitude of others to try. The price of salt licks and herbal treats start from as little as a pound or two upwards, and you will find that it's cheaper to buy in bulk. Once you've found a few flavours and types that he likes, it's time to stock up! It's worth investing in a small tub with a sealable lid in which to store any treats that you're saving up too, as this will help to keep them fresh.